Sometimes we’re inclined to compartmentalize our thinking into an either/or position. This idea was used by Jesus when He gave parables using old and new wineskins and old and new cloth. But this isn’t always the case. There are times when we can benefit from a both/and stance. This was visually illustrated in the modern city of Bangkok, Thailand where they are constructing the Rama IX Super Tower. This mega structure to be completed in 2021 will be 126 stories high and reach a height of 2,018 feet. By comparison, Seattle’ tallest building, The Columbia Center, is only 76 stories high. But this super-modern edifice doesn’t negate the benefit of pedal power next door. There, in one of the city’s many parks stood this testimony to a long-standing pragmatic solution. 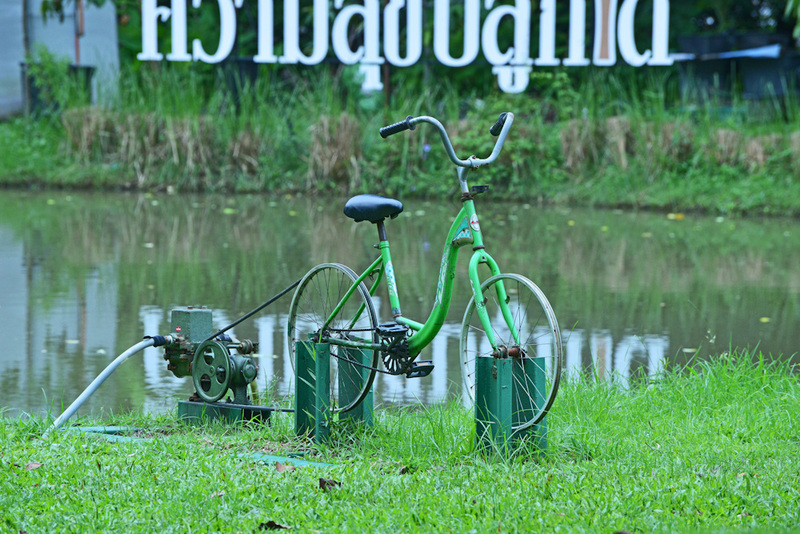 A stationary bike stood by, ready to do its part in pumping water from one pond to another. In a city that has more than its fair share of rain, this could prove to be very useful. Jesus seems to have employed this same line of reasoning as recorded in Matthew 13:52: “So he told them, ‘Every student of the Scriptures who becomes a disciple in the kingdom of heaven is like someone who brings out new and old treasures from the storeroom.’” (Contemporary English Version) Those truths deeply imbedded in our thinking from childhood Bible stories can find new light and understanding as we reread those familiar passages once again. As we grow, so should our understanding of the treasures God has given us.